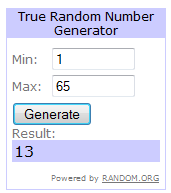 We have a WINNER for the $50 HYATT gift card # 13 Alan Congratulations! If you select a Preferred Seat at booking, then get upgraded to First Class during your upgrade window, but then get bumped from First Class, only to be re-issued a non-preferred seat (or, worse, a bad bulkhead seat), do you have any argument with the GA to give you a better seat? (Presumption: the flight is full.) This happened to me last week. Also I will be sure to post the answer to your question tomorrow! Thanks all for the great questions – working on all the answers now. ← DELTA Q&A day? Please ask away… + $50 Hyatt GIFT CARD giveaway!